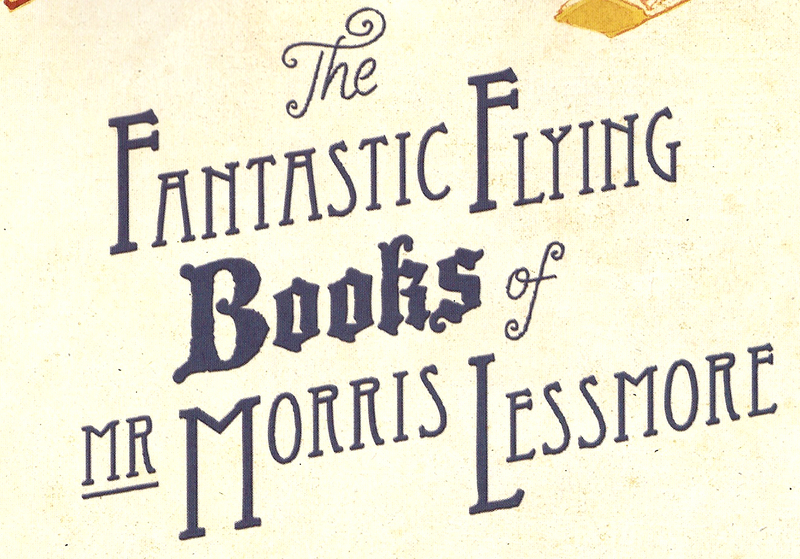 The Fantastic Flying books of Mr Morris Lessmore feels like a book that I have treasured throughout my life, yet it was only released last year (Joyce, 2012). 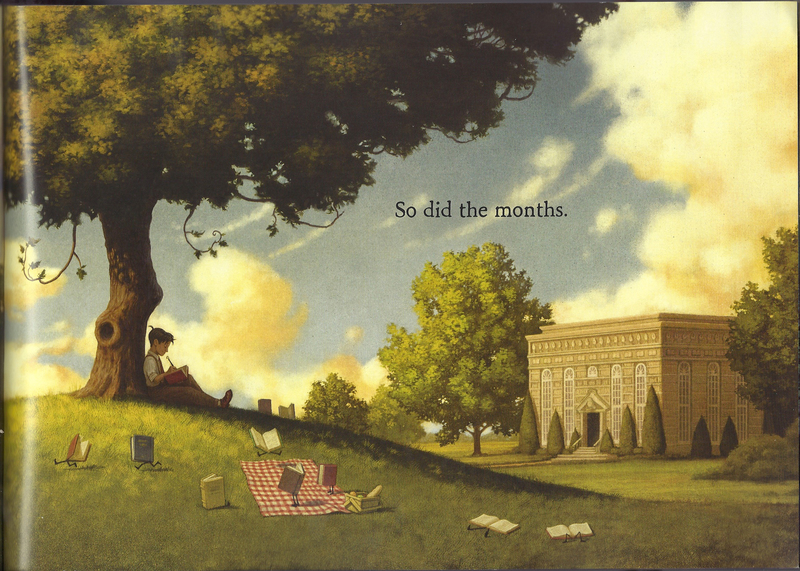 It shares the story of Mr Morris Lessmore who loved books and who wrote his own life within one. 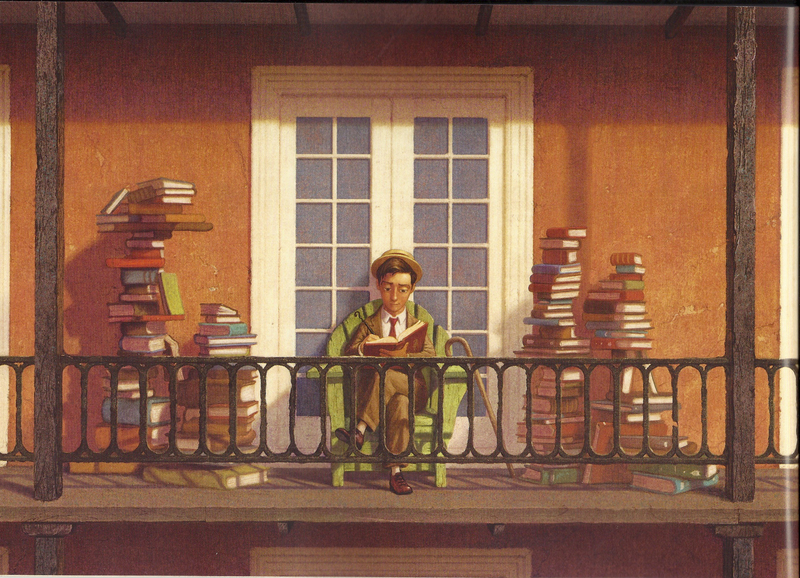 One day his books were taken away from him and he was lost for a time, until he found a place where books could be his life once more, and there he lived out the rest of his days. 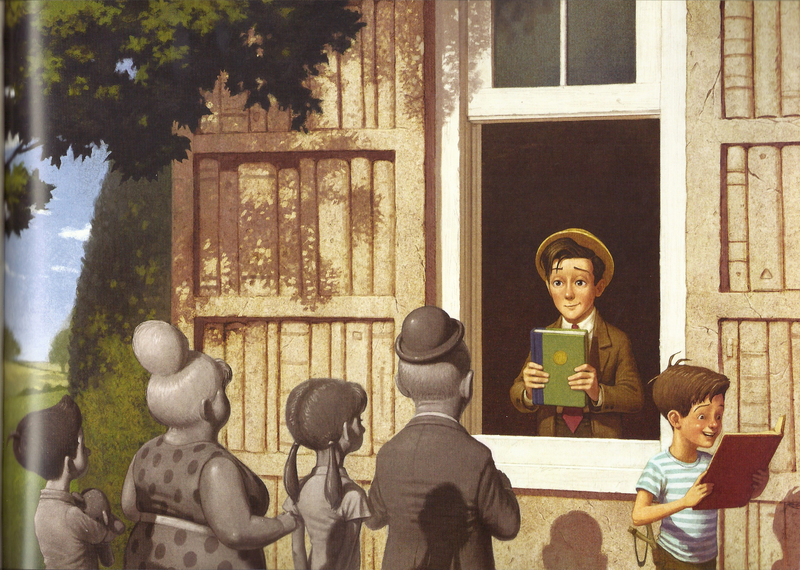 Reading the illustrations parallel to the text reveals visual elements which create their own meaning and add depth to the story and greater connection to the reader (Winch, Johnston, March, Ljungdahl & Holliday, 2010). 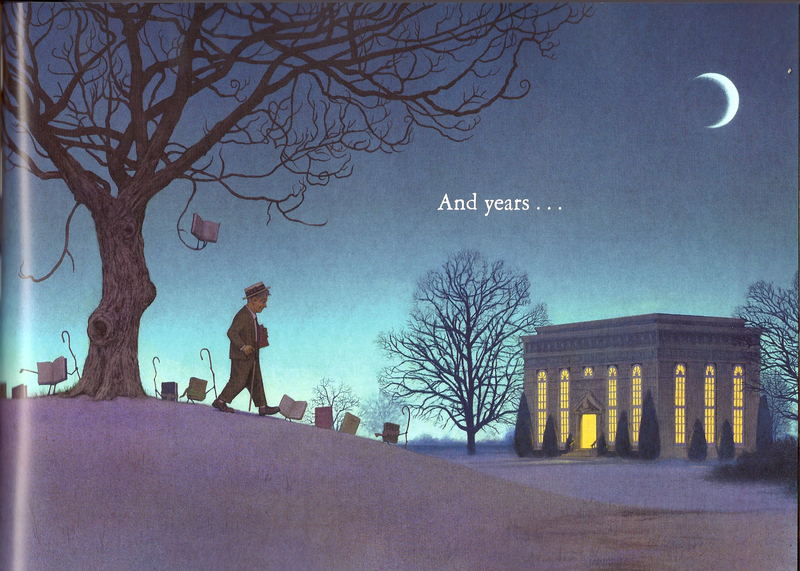 There is a warming sense of nostalgia to the book. This is created by the old fashioned clothes of Mr Lessmore, the classic font and the colour within the images which resemble old photographs with tones of sepia and a dullness to even bright colours. It takes me back to a time when books were truly valued and I empathise with Mr Lessmore and grow more attached to the book because of it. 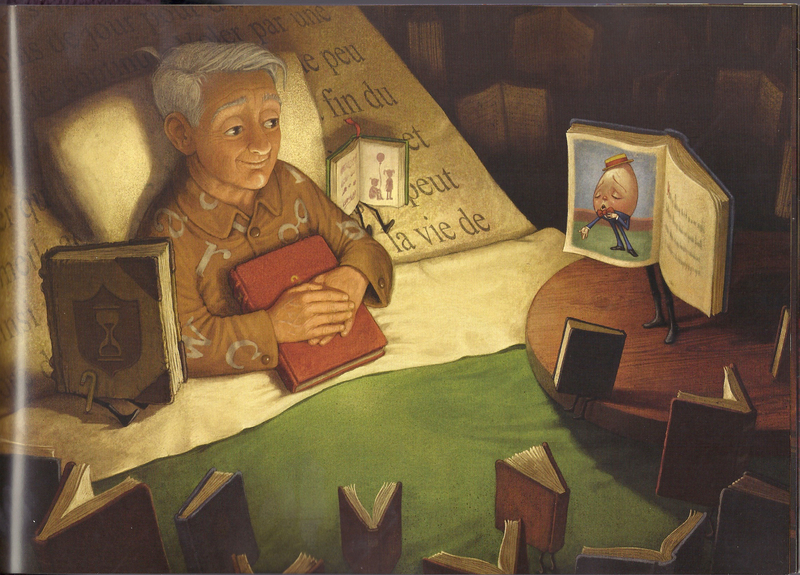 The book’s author has used visual elements to extend the protagonist’s love of books beyond its pages. Colour is used throughout the text to portray emotion and add another layer to the story. 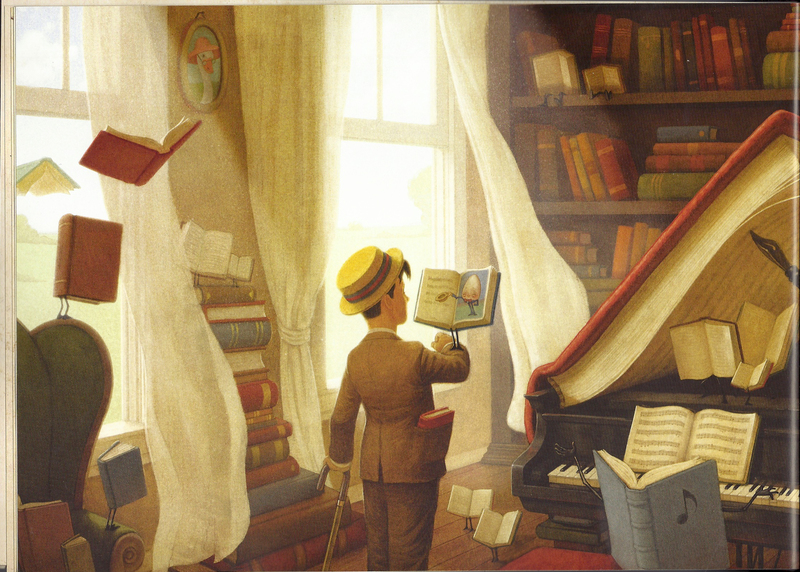 When first introduced to Mr Lessmore and his love of books the image is colourful and has a warm glow to it suggesting love and contentment (Callow, 2013). The above image is the only image where the character appears to make eye contact with the viewer. In doing so the reader is invited into the character’s world to feel his loss alongside him (Kress & Van Leeuwen, 2006). The remainder of images have no contact which creates a sense that the viewer is looking on at the happenings (Kree & Van Leeuwen, 2006). 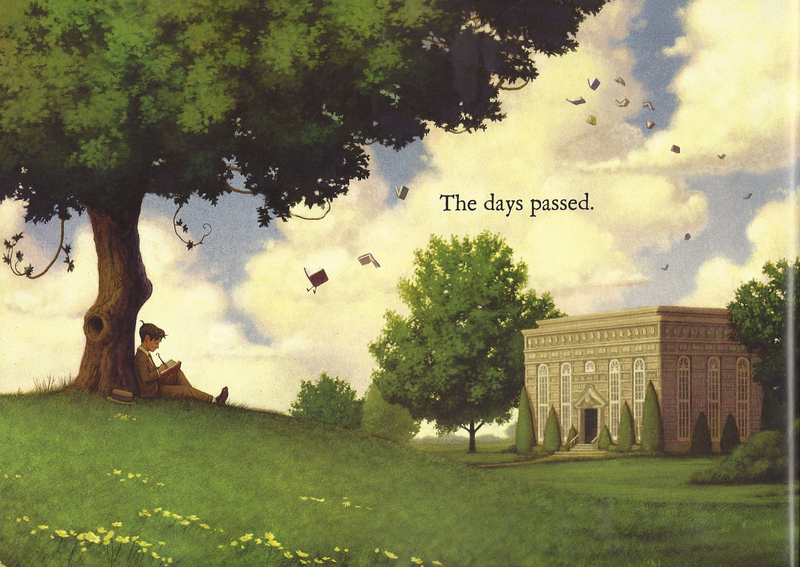 This accentuates that it is a tale from long ago and enhances that nostalgic sentiment. 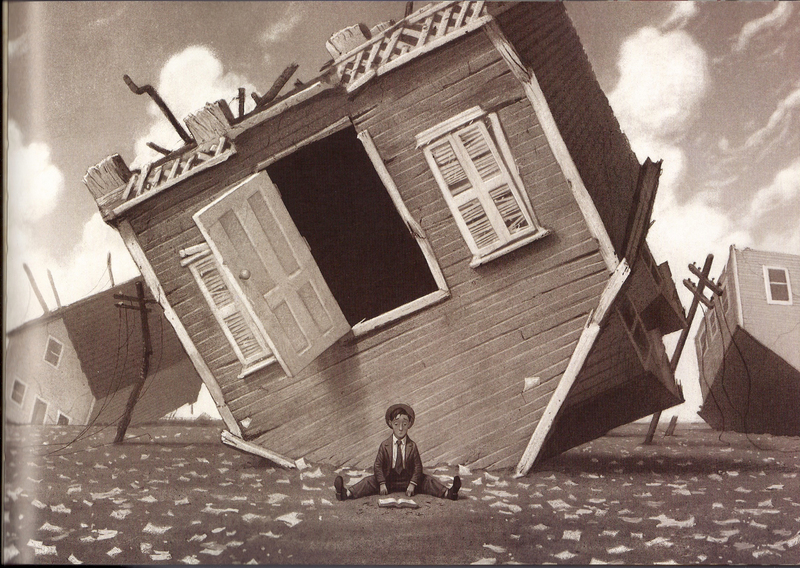 Metaphor is also used to express the passing of time in a more emotive sense than the words would suggest by revealing Mr Lessmore moving through the stages of his life. 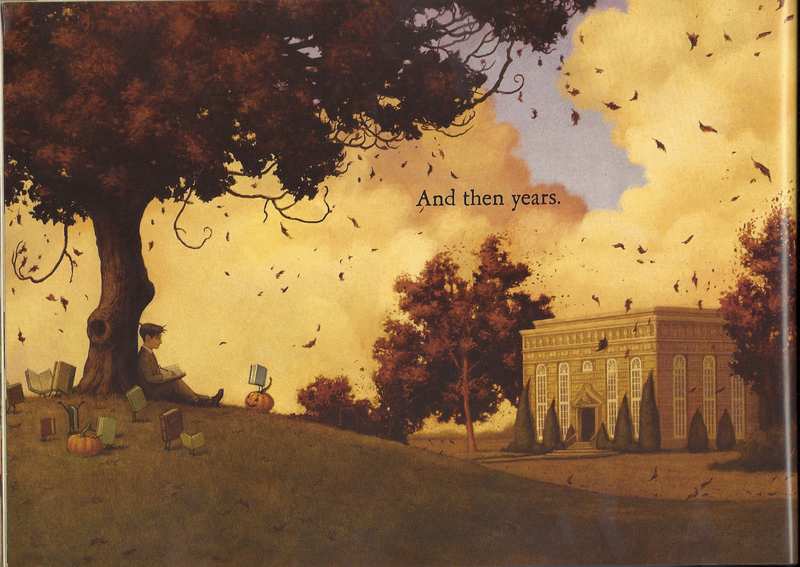 In the end, Mr Lessmore’s life remains only within a book, but I am left with a warm sense that he would be quite contented with that. Callow, J. (2013). 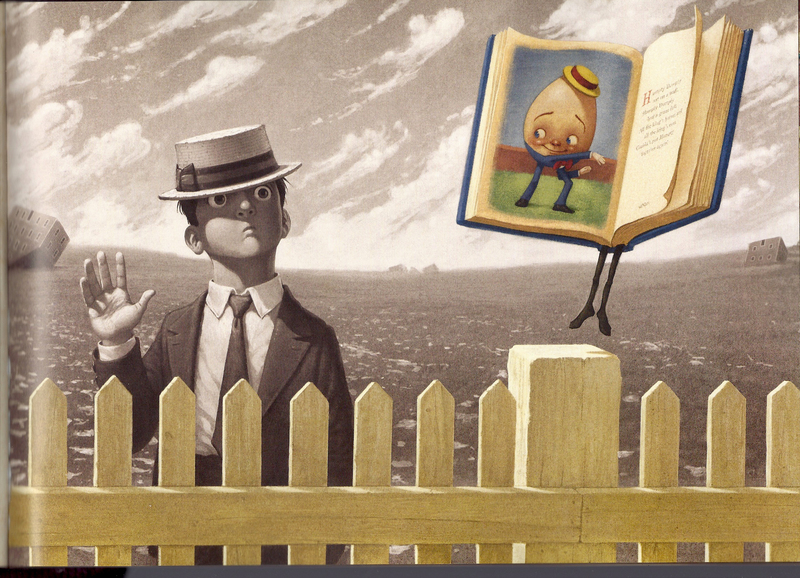 The shape of texts to come: How images and text work. Newtown, NSW: Primary English Teaching Association of Australia (PETAA). 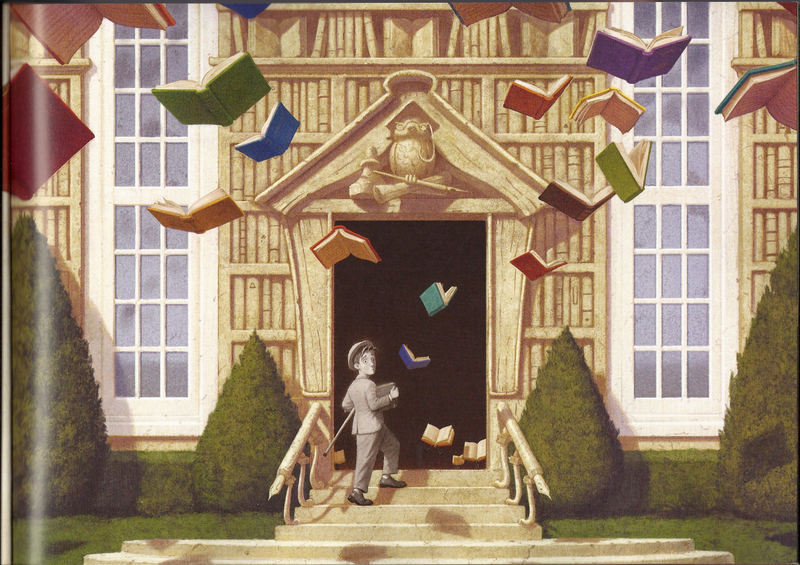 Posted in Children's literature, Uncategorized and tagged Children's literature, Joyce, Literature, Picturebooks, The fantastic flying books of Mr Morris Lessmore, Visual literacy. Bookmark the permalink.